Every time I think of Valentine’s day I think of those cute little notes that used to get handed out to all your classmates. That probably still happens…it has just been a really long time since I’ve participated in it! I don’t have Valentine’s day specific stamps, so I was pretty excited to find that I had at least one set with an appropriate phrase! 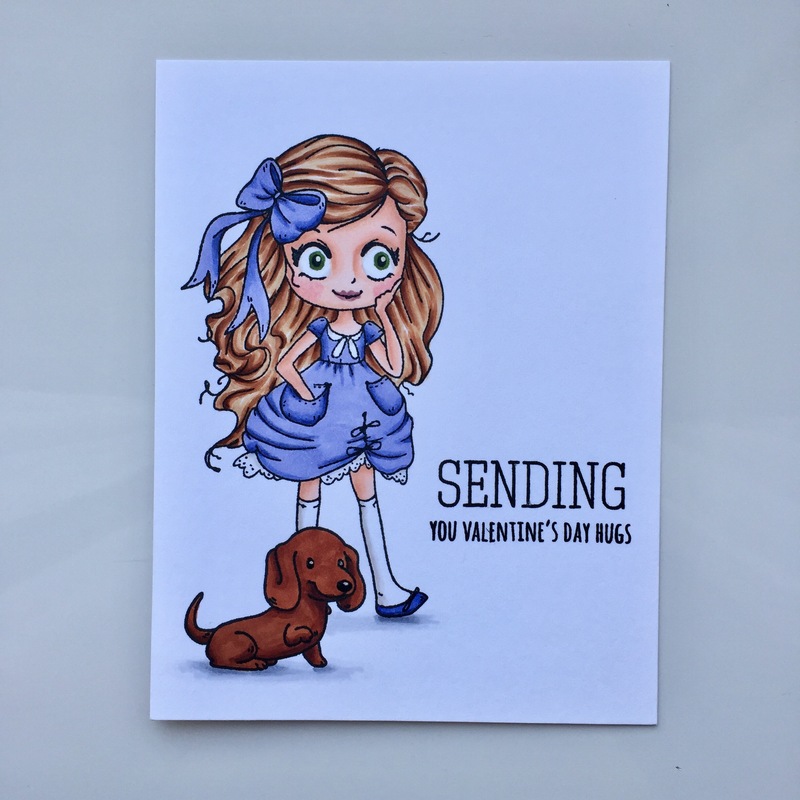 The stamp set ‘Dollie with a Bow’ from The Greeting Farm has this cute girl and her pup. 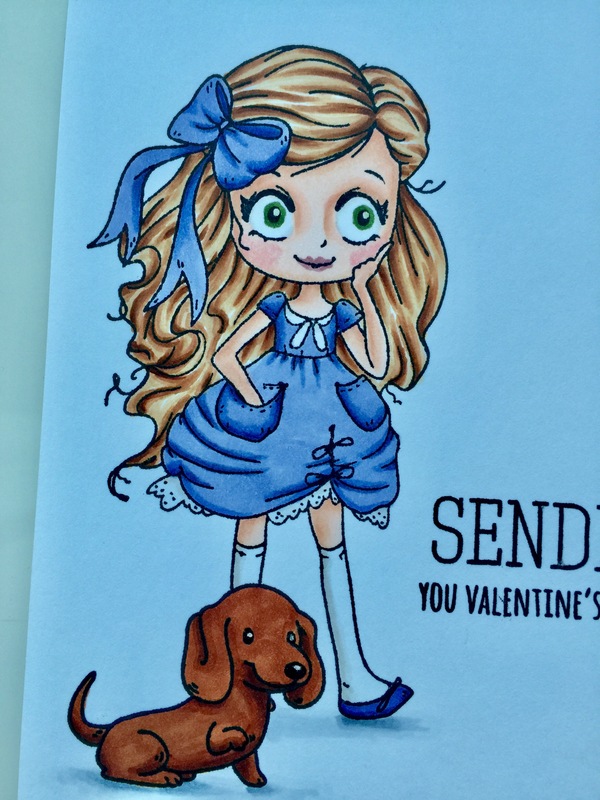 I stamped the pup first and masked the image before stamping Dollie. I colored the Dollie in with copic markers using the following colors – hair: E31, E33, E35, E37 skin: E000, E00, E21, E11 dress: BV01, BV13, BV17. To ground her and the pup I used some ‘W’ series grey markers. My greeting, from Simon Says Stamp, was stamped in black ink using my MISTI tool.